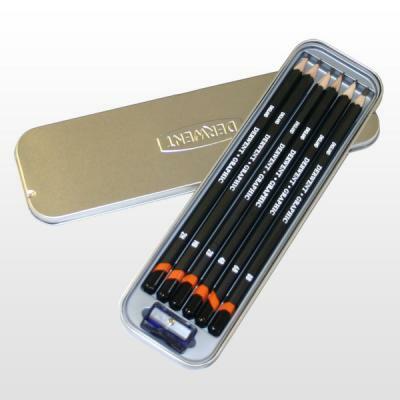 This Derwent Graphic Penicil Tin contains 6 high quality graphite pencils, in assorted degrees ideal for all kinds of drawing and sketching. Pencil grades included are: 2H, HB, 2B, 4B, 6B, 8B. This is where good drawing starts. Whatever your drawing style or media preference, you’ll need some traditional, high quality graphite pencils – and you won’t find a better range than Derwent Graphic. The hexagonal barrel is easy to hold and the pencil sharpens to a good point to cover all your drawing and sketching needs. All the degrees are available individually or in specially selected sets.